Two intertwined first-person narratives are set in the village where Annie spent a large part of her childhood. Her curiosity piqued by the strange reactions and outright hostility of some villagers, she becomes intrigued by the family story of a toddler who went missing in 1919 and how his sisters, rivals for the farm and for the heart of a soldier, fought to survive the aftermath of his disappearance: one driven by guilt and ambition, the other by duty and love. 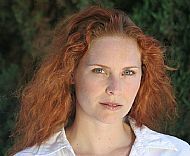 Drawn into an emotional minefield, Annie discovers that her own future is inextricably bound up in that of the village. 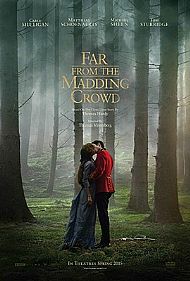 A new screen version of Far From the Madding Crowd came out in May 2015. Based on Thomas Hardy's novel, it has a feisty flawed heroine called Bathsheba Everdene. Like Bathsheba, Under the Spreading Chestnut Tree's Annie Keaton is involved with three men: her faithless husband; a brooding and reclusive ex-army officer; and a man of the woods with a heart of oak. LEFT: Poster for the new film, starring Carey Mulligan. RIGHT: Carey Mulligan as Bathsheba with Matthias Schoenaerts, who plays Gabriel Oak. 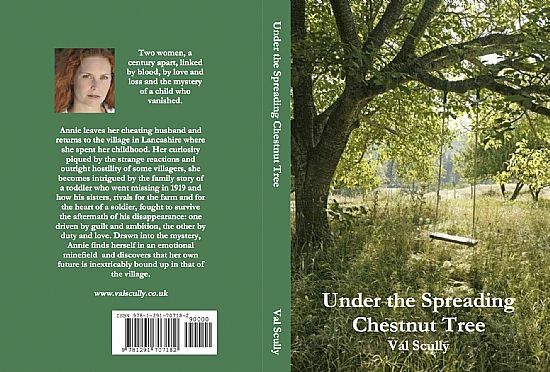 In Under the Spreading Chestnut Tree, there's a missing child, rival sisters, a dash of Downton and a soupcon of Wuthering Heights. Danny Boyle’s Olympic Opening Ceremony had an influence too. So did the Military Wives. It’s about legacy and love, heritage, happiness and belonging; it also touches on our current 'lost generation' of 16-24 year olds. The novel also has things to say about locally-produced food as well as the importance of direct contact with nature and a sense of heritage to our well-being. To read about the GERMINATION of the story, click here. To read about my RESEARCH, click here. To read about the PLACES which inspired it, click here. To read the POEMS connected with the book, click here.